Season 1. Episode 9 with Larry Sunderland. Listen to the podcast. Don't forget to subscribe! This is part 1 of a 3-part interview with Larry Sunderland. 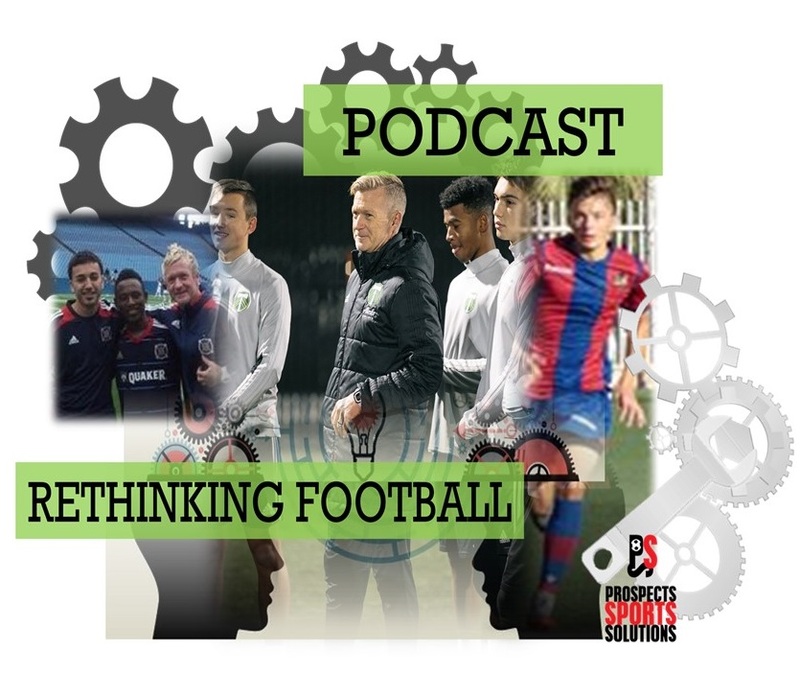 In this episode we will discuss current advances of US development academies, their challenges, and the potential for opening paths for professionalism for future academy players. Larry Sunderland has been recognized as a top coach and a visionary advancing the sport of football and player development in the United States. Sunderland led the development of the first fully integrated professional soccer model in the United States. He has also Implemented and directed the execution of the most extensive player development system in Major League Soccer. 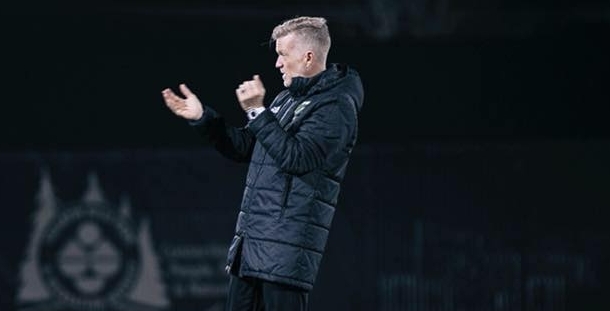 Sunderland is the current Portland Timbers Youth Technical Director, where he oversees all aspects of the academy and player development system, including directing the development curriculum guidelines, and monitoring academy player and staff development. Prior to joining the Timbers, Sunderland served as Technical Director of the Chicago Fire PDL program, Super-20s and Fire Juniors youth club. He has been instrumental in the development of more than 50 professional players, including Chicago Fire’s homegrown players Victor Pineda, Harrison Shipp, Chris Ritter, Collin Fernandez, Kellen Gulley and Patrick Doody. Sunderland is the only coach in the US to win National Championships at U14 (USYS), U16 (USSDA), U18 (USSDA) and U20 (USL). Sunderland’s professional playing career includes the New York Express of the Major Indoor Soccer League (MISL), the Milwaukee Wave and the Chicago Power championship team of the National Professional Soccer League. Host: Thank you for joining us for part two of a three-part series with Larry Sunderland. Today were going to continue our conversation with Larry, as he explains to us his experience as the parent of a young player who has previously trained and played in Spain. Join us as we continue the interview that is already in progress. Larry let’s shift gears a bit and talk about your experience as a parent of young player. I know your son has been in an Academy in Spain. I understand he just returned, is that correct? Guest: Yes, that’s correct. He was with Levante since this past July. He’s just recently come back. To be honest with you, we’ve had problems with the registration process. I think for other parents out there it’s important that they know that it’s not an easy process when you bring a player from the United States to Europe, or when you try to bring a player from Europe to the US. It’s really very tricky and it’s a time-consuming thing. And with my son Lawson it just became, after he turned 16, it was consuming too much time. He and I, along with the staff at Levante decided that for this year it’s going to be important for him to get back here so that he can get into regular competition. He wasn’t able to get that in Spain because he couldn’t get registered. And then look at things again perhaps. That was his particular situation. Host: So how long has he been competing in Spain before he returned to the US? Guest: He went to Spain this preseason, so this past July. He was there about seven months. Host: When he went in July, did he go for a try out at that point or did he go prior to starting to play in July? Guest: Yes, he had gone for a trial prior to going back in July for preseason. He went to Spain as a 15-year-old and we knew the registration process, we knew we were going to be able to begin the registration process until he turned 16. So, we were already aware of the fact that the first four or five months of his time there he wasn’t going to be able to be registered. It wasn’t until after he turned 16 that we started the paperwork and eventually it got denied, just a month or so ago. Host: Why did you choose Spain for your son? Guest: That’s a really interesting question. I think for a lot of reasons, and then also just as the opportunity presented itself. First, I’ve done a lot of travel in Europe and visited a lot of academies around the world, and I like the way they work in Spain. I thought from that standpoint, as a soccer professional, I was comfortable with it as a dad, I love the Spanish culture. I always enjoy my time there. Obviously, the football culture is a fantastic one. So that made sense to us as a family. And then going back to the soccer professional, as I look at my son, taking the idea that he is my son out of it, and looking at him as a player, his style of play, the way he plays, the fact that he is a very late physical maturer, I thought it was a good fit. I think in Spain they look at players a little bit differently. Not just Spain. There are numerous places in the world, but I think Spain is maybe a little bit ahead in the way they look at the development of players. I thought it was a good fit for him from the soccer standpoint. And that was really the extent that we went about our thought process. It was very unique for us because often times I looked back, and I go, “Boy I wasn’t really diligent in understanding things and thinking deeper.” We kind of just went, “OK this makes sense,” and then dropped them on the doorstep. But that also ended up being another reason, Lawson is a little bit different like that. He had no problem with that and the experience for him to be overseas, anywhere, was something he really wanted as a life lesson and as an education beyond soccer. None of us know where the soccer’s going to go. So, it made sense on a lot of fronts for us. Host: Sure, that makes a lot of sense and you’re absolutely right that every kid is different, and every kid is going to handle a situation like that in their own way. So, it sounds like your son really had the right, he checked all the right boxes for that experience and was ready to spend several months in Spain training and playing. As you know, Spain has within its development system a place for players ages 18 to 22 to continue developing, and they can do that outside of going to college. So, for example, in third division in Spain, they are required to have at least six players who are U23 on their roster. This gives young players with level a way to improve their skills in a ten-month season and stay on the path to professionalism. but it seems like in the US the only option for development for players in that age range from 18 to 22 is through college. And often times players aren’t developing their skills to a high enough level to play professionally. And even if they are to get drafted, say by an MLS team, many times they don’t have a high enough skill set to get minutes. So how far are we in the US from having a bridge like this for our players? Guest: I agree with what you said. I would say not yet. We are developing that. I do think we are very unique in this country. I absolutely believe that college plays a role in the development of future professionals in this field. There’s no question about that. It’s one pathway that is quite unique, that you don’t have in other countries. How we make that a benefit, how we take advantage of that, I don’t have an answer for that. But you see it happen. It can work. You look at a player, Jordan Marsh. That is one pathway. I think what USL has been doing, along with so many other things that is changing this country so fast, whether it’s through US Soccer development academy, whether it’s through MLS, whether it’s through coaching education that US Soccer is doing and MLS are doing through partnerships. And of course, what USL is doing is amazing. They’re approaching a lot of new frontiers with USL I think right now that is probably our best link for that player age 18 to 22, is that USL program right now. Those are going to be continually changing, where that goes, how we use the USL program as a development team, for our first team, or is it a pro team standalone trying to win the USL championship? I think those are statements that are going to have to be balanced out between various clubs and the league itself. But I think those pathways are definitely being further developed in this country. And I am excited about it. We don’t know how to use it properly yet. I think we are learning. I think in this country we are going to learn from one another if we share information. I think we’re going to learn how the different MLS teams and USL teams are working together to develop players what works, what doesn’t work. Going back to this player idea, how it works to further recoup money that we spent on development, I think there’s a lot of ideas out there that we are going to have to play with them, and we’re going to have to fail in order to learn. But I think these things are happening. So, it is an exciting time from that standpoint. Host: Absolutely. Can you talk about what you see as the differences culturally between the way young players approach football training in Spain and compared to how they approach here in the US? Guest: Yes. Culturally I think again, it stems from a cultural basis. Every dad in Spain, it was their dream to play professional football. Every dad in Spain comes up and grows up knowing the game. That’s just kind of passed on father to son. This drive of the dream is there in every player, every player in Spain. So, when they show up to train, they are very serious about it. To use coaching terminology, they just get after it. From the time the ball rolls on the field, they are getting after it. And I really think I appreciated that. And I’m always trying to learn from it. It was amazing for me to see from the very first day of pre-season, it was go. They got after it. They want them to compete every single day and whether it’s Thursday training, or Sunday game or Saturday game, they are training and competing the same way. What I saw was just a complete commitment every time they stepped on the field. I am thinking that through as I think about it, because I tend to go over to Spain and look for things, or go over to Europe and look for different things, and I come back and I go, Aare we doing this right or are we going too far here?” That was my evaluation of it when I was over there. Host: I like where you’re going with this, and I wonder if it’s possible for the US to make a similar shift culturally to what you just described about Spain, where every day is the big game. Every day. There’s a different drive it seems. Do you think it’s possible for that to happen here in the US? Guest: Yes absolutely. That is happening. There’s no question that that is happening. That’s an organic thing, it’s just generational. But for sure that’s happening. Just look at where the game is going now, with the exposure to the game we have now. You can watch games every day of the week on TV. It’s all over TV. Whether it’s foreign football or MLS or USL, it’s all there. It’s really flooded into our life now, and I think that’s what we need. I think we got ahead of ourselves when we were looking 20 years ago and thinking oh, it had arrived, it had arrived. We got a little bit of head of ourselves, a little bit anxious. But I will say now, having gone through this, this has been my life, it was part of my dad‘s life for sure too. I do think it has arrived. When you see stadiums and fans dying for the game now in a lot of different places across the country. And there’s this kind of organic ground swell now. And people want the game. It’s happening. I think you’ll see those things. You just have to give it time. Host: Absolutely. Does your son have plans, or does he want to go back to Spain to play again? Guest: For sure. I mean, it’s funny we talk about it and he says he misses his brothers and sisters in Spain, and that’s a cultural thing too. I think he misses that. Of course he misses the food. He’s tried to get us to cook more Spanish food here. So, he misses that. He misses the football culture and those pieces. He’s happy to be back here because he had to bounce around between various teams for training. He wasn’t registered to one team so you’re going to train with you be today you going to train with the internationals. It got a little bit to the point where the regular consistent training wasn’t there for him. When it got to that point he and I both decided that the lack of being able to play games and the regular consistency and a high-level training wasn’t there for him, the best place for him right now was here. I also want to be very clear. My knowledge of the MLS Academy, not just Portland’s Academy, my knowledge of the MLS academies is we are doing a really good job here. I don’t want anyone to think that, and I am definitely not advocating at all for all players need to go to year. I don’t think that’s the case at all. I think MLS players are doing a fantastic job and it’s getting better and better all the time. I do believe there’s different pathways for different players. I think we need to look at that as a country going forward and how do we take best practices and take advantage of that. I think there’s some creative ways we can make all these things work. But going back to my son, I think right now, today, he’s in the spot he needs to be in. And that makes sense. I think Spain was fantastic for him, and had the registration worked out, it could’ve been a fantastic place for him for many years. Who knows. But right now, he’s where he needs to be and he’s in a very good developmental environment for him at the moment. Host: Right. I think when you talk about how it depends on the player, that there’s an experience that works on the individual level, that doesn’t fit for everybody. Everybody has their own path, and I think that having an opportunity to play overseas can be a benefit for some players. And I think that goes both ways. One thing that Spain does well is they recruit and leverage foreign youth players, and children of immigrants to strengthen their league. What do you think can be done here, better, at the US Academy level or at the local level to recruit players from overseas to come and play with US soccer? Guest: I think we need to do a much better job first locally. And then we can grow a regionally and nationally and then perhaps look international. But going back to the local, there are certainly underserved areas of this country of our neighborhoods where we need to do a better job of finding players and, also do a better job of creating opportunities for those players. Not even opportunities at the highest level. Let’s start with just a grassroots idea. How do we get that player in the community that can’t afford to pay for youth soccer, that haven’t been identified? How do we get him on a good U12 team? It’s not even we are not talking about a player that’s going into the Academy. Just a regular player. How do we create that opportunity for him? Because when you begin to do that, now you’re going to find better players out there who you can potentially develop into better Academy players. So, we need to do a better job of checking some bushes, finding those kids out there, getting out to the underserved areas, and I think there are many clubs out there trying to do a better job of that. I know there are for sure. I know US Soccer is trying to do a better job of that with their scouting. They are out there. We are trying to find them. And then if you go and start to look overseas, well a big issue with, for instance, bringing a European player to the US academy is that they have to be 18., Unless they have a US passport. We have to be able to get them an ITC, and those are FIFA rules. Those rules were put in place for a very good reason years ago to protect children. Can those rules be adapted to or do those rules need to be modified? That is at a much higher level than me, but at the moment they are. We do have some players in the Timbers Academy that are foreign players that I brought over at 18, so that they could get their ITC. And for some of the reasons that you mentioned. I think it’s important that there’s an assimilation that happens. I think all these players, just like people, bring different characteristics, different life stories with them that just help to make us better players and better people. So, I love the fact that we have some foreign players in our academy. I wish that I could get them younger. But at the moment I can’t. Host: Right. Speaking of integrating more players and players from around the world, what about children of immigrants who are here but may not be as familiar with the system here in the US, or not know how to become involved either at the local level or even the academy level? What would you suggest are ways to include those families and those children in our system? Guest: I think that’s in education and partnerships. I think it’s very important that US soccer and MLS academies and youth academies, youth clubs are partnering with different agencies in the community to deal with immigrant children. I think there’s partnerships out there you can find and that we have and then you have an education process. We did something here Portland just a couple of weeks ago. A group from Timbers army, a foundation that deals with immigrant children, so there was a training going out. We looked at the players for potential academy involvement. At that point there were no players that were at the academy level, but what we did is we connected them with a couple of our local youth clubs. We are hoping now that that partnership will lead to some of those kids going into their youth teams at 10, 11, 12 years old. How we can scholarship these kids, and help them financially? So there may be down the line some more academy players coming out of that community. I think there’s ways to do it, there’s partnerships we have there, and you’d be surprised. There are a lot of creative groups out there with MLS that are doing some unique things to benefit the children. Host: That sounds great. I think you’re absolutely right that creativity and innovation is going to be the key to making those approaches work. So, I think that sounds really exciting. Announcer: To access the transcript of this podcast and other archives, please visit our website www.prospectsss.com and click on podcasts. That is prospect SSS.com. If you enjoyed the show, subscribe to get the latest episodes directly to your device. This episode is brought to you by PSS international Academy. Research shows that in sports, the one thing that works and makes lower performing players better is immersion. To learn about our programs and how you can play federated football in Spain, visit prospectsSS.com and click on international academies. Don’t forget to follow us on Twitter @rethinking F. Rethinking Football’s theme song, Actionable, is courtesy of bensound.com.